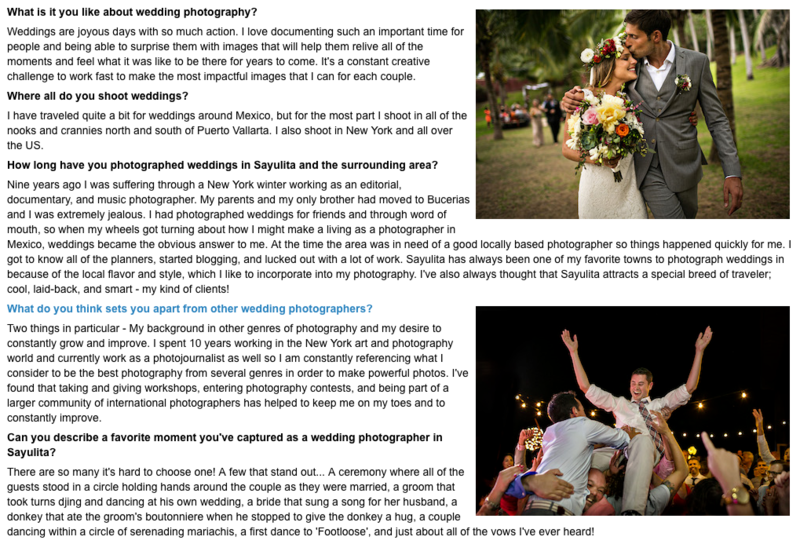 Sayulita Life recently did an interview on me about my wedding photography. Go check it out. If you don’t know about Sayulita, it’s a small coastal village in the jungle on the West Coast of Mexico about an hour and a half north of Puerto Vallarta. It has a special mix of jungle, sea, local, and surf cultures along with an interesting international ex-pat community. It’s an incredibly special place. 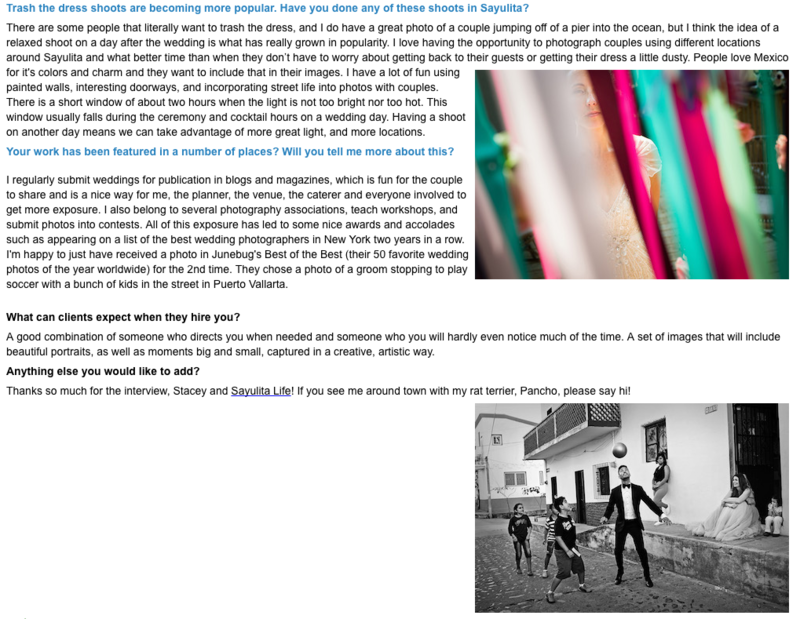 Sayulita Life is the go-to resource for planning a trip to or a wedding in Sayulita.